Its official! IndiBlogger.in will be hitting Mumbai on Independence Day 2010. The 15th of August will also mark 3 years of our existence on the World Wide Web. There are other reasons to celebrate too as Sea Princess will be one of our largest and most charming venues. With over 100 registrations on the first day, we are sure that this will be a spanking IndiBlogger Meet! We are open to your suggestions for this IndiBlogger Meet. For those of you bloggers who want more than your minute of fame, you can write to us here. We look forward to meeting all of you again. Mumbai blogger meet – venue announced! I’m looking forward to it. Hope it’s a great learning experience & inspiring too! And above all, a chance to make new friends. Hey guys its high time we have a mega event in North India too. Hoping for someone to take initiative from NCR region. @ Haramjit Thats the idea! 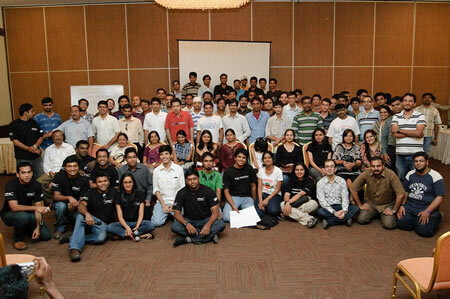 @ Vipul Yup I miss NCR .. it was fun last time. Lookng to find who are the truly global blogging voices. Maybe IndiBlogger.in – The Independence Day Blogger Meet is one good place to find out? How could I Join It? Is there any place for sharing views and opinions on stock market or any other topics? I am very lucky that I joined this site. Every indian blogger should join this site. @ Kmadhav .. we are glad you joined up! Next story Destination Mumbai IndiBlogger Meet!